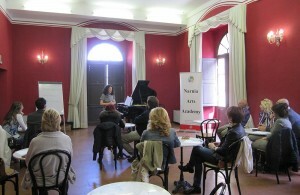 Cristiana teaches at the Narnia Arts Academy International Summer Training Program in Narni (www.narniaartsacademy.com). She also teaches at her private studios in Rome and New York. Over the years, Cristiana has been presenting, in schools and universities of various countries, outreach programs and music appreciation programs for all ages. Classical music, an expression of the deepest feelings and voices of various historical periods, for centuries has accompanied the life of man. Discovering and understanding it means to be able to appreciate it. Appreciating it helps develop a healthy enrichment of our sensitive sphere. Cristiana Pegoraro believes that there is great need to rediscover and deepen the true cultural values. That is why she chose to use an innovative approach to classical music, which is necessary to involve a wider audience and especially to encourage young people to get close to a heritage that should not intimidate, but, on the contrary, has the power to harmonize the inner growth of any human being. That is why “Classical Music in Jeans” is born. With the innovative proposal of “Classical Music in Jeans”, internationally acclaimed pianist Cristiana Pegoraro will guide students in understanding the language and structure of classical music. The workshop will initially focus on the sensory perception of sound and subsequently on the concepts of melody, harmony and rhythm. The course will continue with the comprehension of the “grammar” of music and the analysis of musical forms and of orchestral texture. 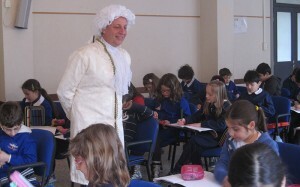 Student participation will make the learning process enjoyable and inspiring. Further, the live performances of pieces will be followed by discussions, which will favor an instinctive approach and an immediate opportunity to test the acquired competencies. The participants will be able to gain more sensibility and consolidate their comprehension of the structure of the language of classical music, which is necessary to fully enjoy this immense and underappreciated repertoire. Bringing children closer to classical music is one of the priorities of the Narnia Arts Academy, not only because music contributes significantly to their cognitive development as demonstrated by decades of studies, but also because it is a fundamental yet neglected part of our culture. The aim of this initiative is to make the world and language of classical music natural to children, and to introduce them to the great composers and their most famous compositions. It is about laying down the tracks to spark curiosity and sensitivity from which the young will gain advantage as they grow up. “The Game of Music” was conceived for this purpose. Using a fun language accessible to children, the program explains classical music, its secrets, its magic, its ability to describe places and emotions. Part of the formula consists of actively involving children in games, interacting with actors impersonating the great composers of the past, and listening to live performances of classical masterpieces by Cristiana Pegoraro on the piano. The notes of the greatest composers become an educational journey, a creative and exciting way to learn and appreciate, from an early age, the beauty and importance of classical music.